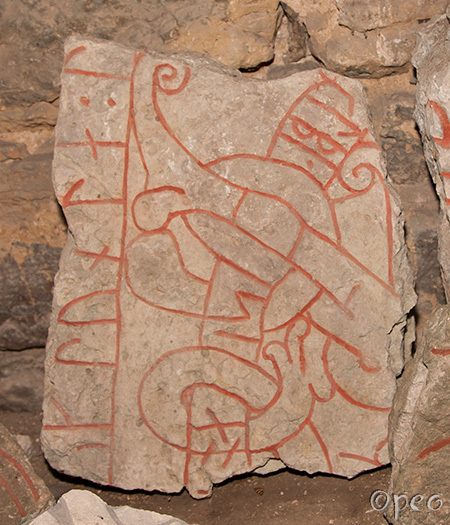 Like the previous one, this rune stone fragment is placed along the wall in the tower-chamber of Hov church. 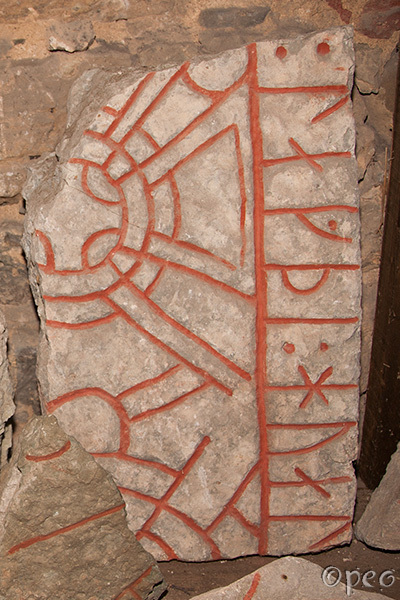 A fragment of a grave slab. Point at the picture to see Ög Hov32;27, which must be a part of the same grave slab.